The Korea times has a section under “arts and living” that’s called Korean language. I know I’ve posted about this before somewhere. Anyway. Simply explained, it’s a collection of Korean sentences. They’re arranged by themes like Slang words and expressions or Korean thanksgiving. Some, or most, come with a short and practical cultural explanation! 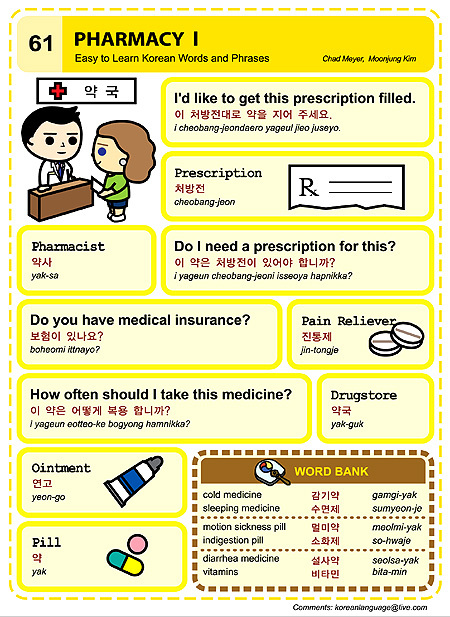 Very handy – and you don’t have to know how to read Korean. But remember that the western letters are meant to be pronounced with a more English dialect, for example the ‘eo‘-sound will be pronounced as the ‘o’ in ‘son’. A bit complicated for non-native speakers.